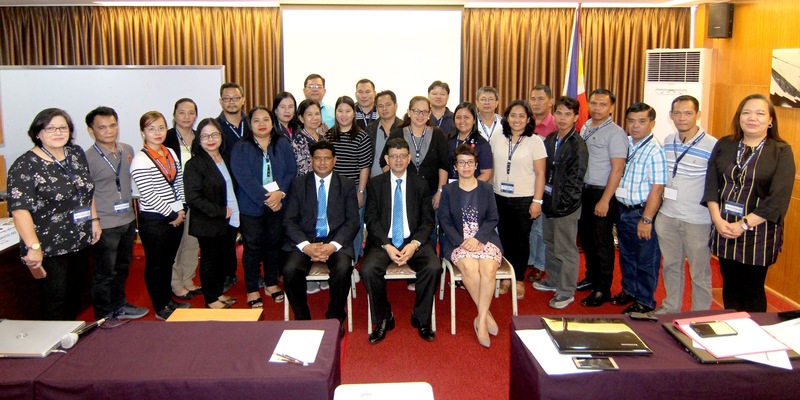 The Colombo Plan Staff College conducted the Customized Training Program on Enhancing Quality Management System (QMS) towards Quality Assured TVET Delivery and Service for the 54 personnel coming from the Technical Education and Skills Development Authority (TESDA) Institutes from the 15 regions of the country, TESDA Central Office and other satellite offices. The training was held from September 24-28, 2018 at the BSA Twin Towers in Ortigas, Manila. The five-day knowledge transfer exercise was organized to further educate the participants on the concepts and principles of QMS, help them identify the applications of Plan-Do-Check-Act (PDCA), QMS Principles, and Tools for TVET institutions. The program helped the participants understand the APACC and STAR accreditation systems and other such quality assurance certifications for QMS. The program culminated with the participants preparing a Monitoring and Evaluation Plan in implementing QMS for TVET institutions in view of continual improvement. Dr. Romulita Alto shares her insights on the principles of QMS with the participants The program was coordinated by CPSC Faculty Consultant, Dr. Chithral Ambawatte under the supervision of the Director General of CPSC, Dr. Ramhari Lamichhane. 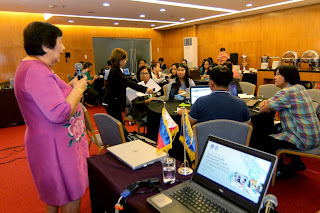 Additional resources for academics were provided by Dr. Romulita Alto, Research Consultant at the Technological Institute of the Philippines and Project-Based Faculty Consultant of CPSC, and Ms. Janet Abasolo, the Division Chief of the Program Registration Division in the Technical Education and Skills Development Authority of the Philippines. (Left photo) The participants from TESDA discuss the application of QMS tools in TVI operations in their tasks. (Right photo) One of the participating group members discusses the application of PCDA in TVIs during the group presentation.